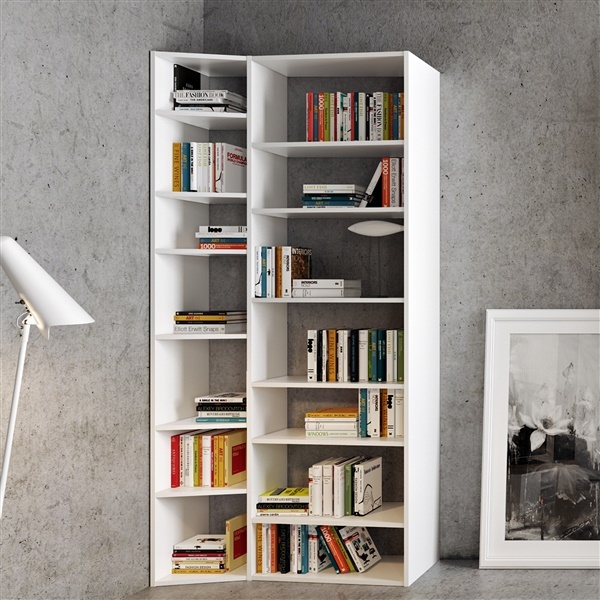 The Valsa Composition 2012-001 from Tema Home is a bookshelf like no other. This one-of-a-kind bookshelf features a distinct design that makes it easy to organize your books and other media. Also, the bookshelf serves as a wonderful decorative piece that is sure to stir up conversation among guests. Increase your storage space while you enhance your home's decor with a top-notch bookshelf -- the Valsa Composition 2012-001.